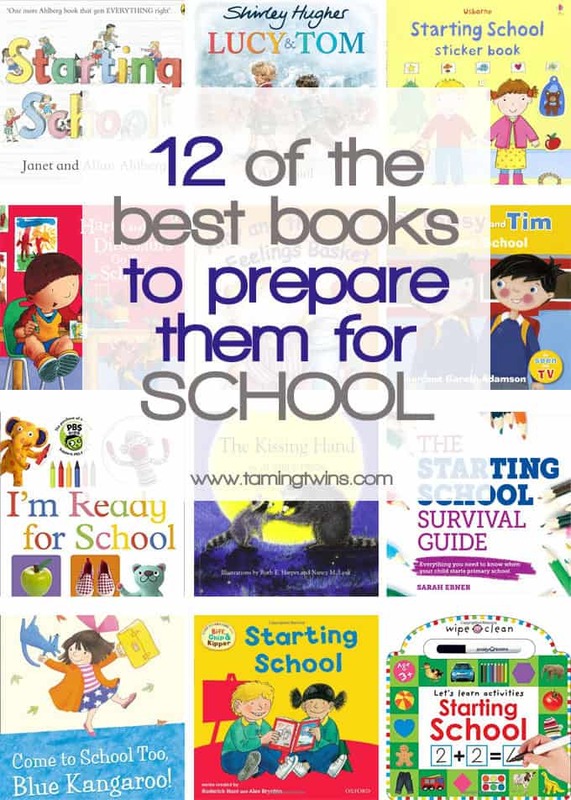 Some of the best books about starting school we’ve found. Books for parents and children, to prepare us both for them going to school. I can’t quite believe it. My teeny tiny babies are now actually little people, who, in September will be starting big school. (Cue weeping.) Obviously I hope that this goes as smoothly as possible for us and so I’ve been buying lots of books about starting school for them to try and understand what will happen. If you only buy one book on this list, make it this one. It tells the story of not only the first day at school, but the whole first term. It explains so many aspects of school (including the less good bits, like feeling tired or the teacher being unhappy if people are naughty) in easy to understand, kids language. 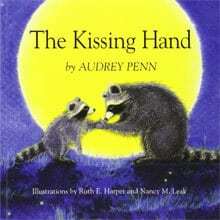 My children ask to read this night after night. A must buy book about starting school. A fun way to familiarise young children with all the things they will need to know and be able to do when they start school. 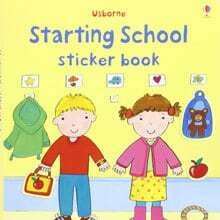 Following a typical day at school, children will enjoy using the stickers to help the characters in the book get dressed, pack bags, hang up coats, change for PE, and participate in art class, lunchtime, playtime, story time and home time. With over 100 stickers, this is sure to keep little children occupied for hours. 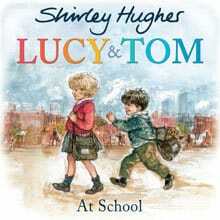 We haven’t actually seen this book as it’s not out yet, but if previous Shirley Hughes books are anything to go by, this will be perfect for introducing little ones to the school experience, including beautiful illustrations. Oh we do love Harry and his bucket of dinosaurs! 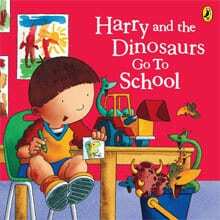 This book is true to form, with the naughty dinosaurs accompanying Harry on his very first day at school. 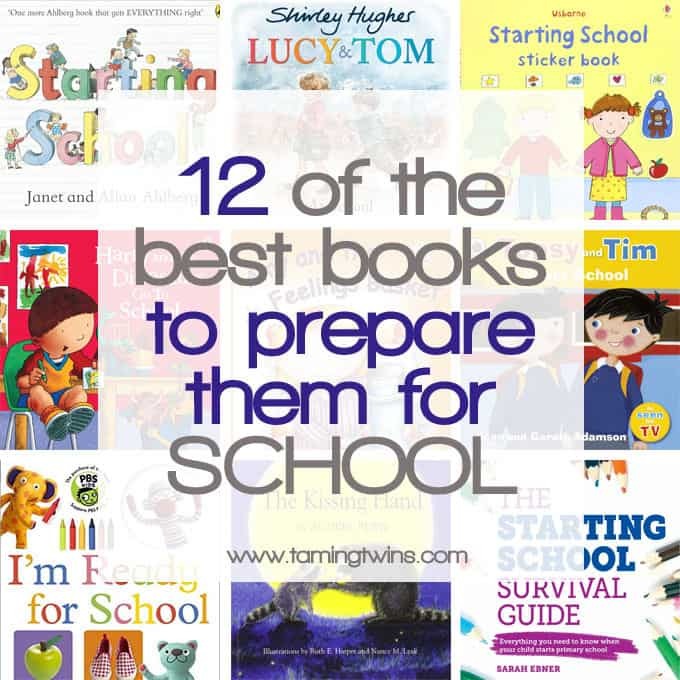 A fun way to introduce children to school from this much loved series of books. 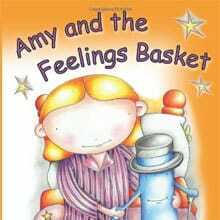 This book may be a little long for some four year olds, but it does present feelings in a new way, that may help some children to understand them better ready for starting school. If you have a child who is happy to sit and enjoy longer, more involved books, this may be a good choice. A simple story about the basic facts of what happens at school. 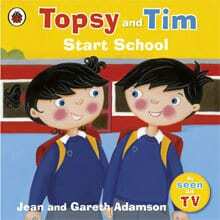 A good first ‘going to school’ book or for fans of the legendary twins. A lift the flaps picture book, suitable to children to ‘read’ to themselves. Colourful and bright, with something to discover on every page. 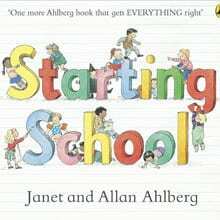 A very different book about starting school, this is brilliant for children feeling anxious about leaving their parent or carer. Chester Raccoon seeks love and reassurance from his mother as he ventures out into the world to attend his very first day of school. She teaches him that her love for him is always with him. 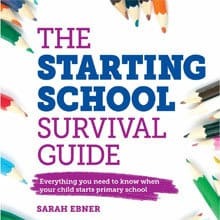 One for the parents, this book helps you to navigate the school system. It covers helping with homework, key stage exams and understanding the national curriculum. Along with school etiquette, dealing with gossip, how many holidays can you take and what to do with your child during the summer. 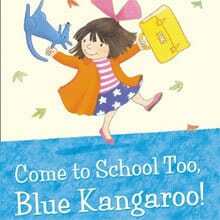 Telling the story of Lily’s first day at school through her relationship with her Blue Kangaroo, this is a great book for little ones who many be a little bit nervous and particularly for those who have a special toy that they can relate this book too. 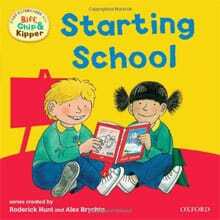 Biff, Chip & Kipper books are used in 80% of primary schools, so this book is a super way to introduce your child to the characters. A simple book, with a good introduction to the school routines. 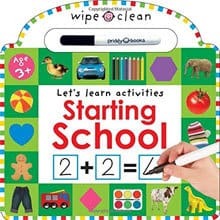 A wipe clean activity book for children to use (pen included). It introduces school concepts whilst giving little ones a chance to practise some of the skills they will use at school. 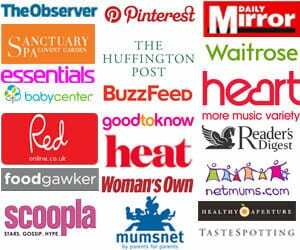 I hope you found our list useful, please feel free to share it with any other parents you know who have children going off to school in September. Have you found any other favourites that aren’t on this list? I’d love to know. Pin the books about starting school guide for later..